Sometimes the city slicker splurge, stilettos and all, seems fitting for a long weekend break from the everyday. Strutting neon-lit streets energised by the pace, bright lights and loud noise can leave one simply spinning for more. Then there are those times when you just want to disappear. Take the time to sit down, slow down and imagine a hidden pocket of the Kimberley in WA’s far northwest: Cape Leveque, laced with jaw-dropping scenery, Indian Ocean high tides and a kaleidoscope of colours – the daylight blues and sunset-streaked reds . . . and that’s just the sky. It’s time to get that camera out. This largely untouched tip of the mainland will inspire a long weekend love affair with the Dampier peninsula and it’s gin-coloured ocean, desolate beaches and humpback whales, on show just for you. The string of beautiful beaches meandering the coastline isn’t dissimilar to the impressive pearls found in the region. 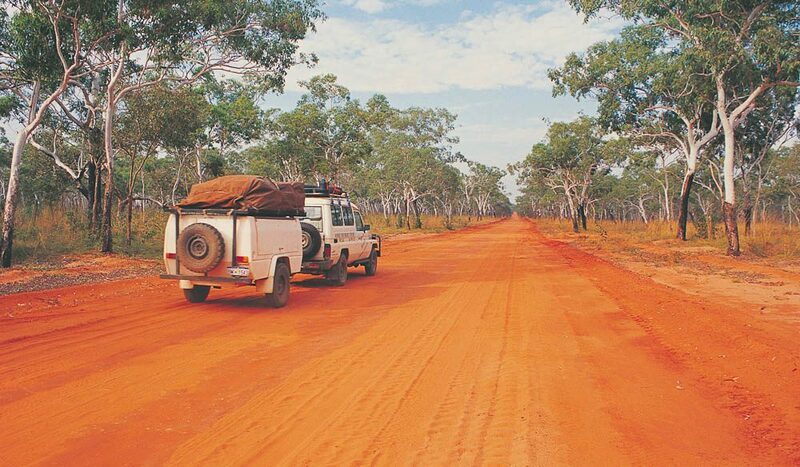 A rich Aboriginal heritage dates back some 7000 years and local Indigenous guides will happily take travellers on cultural tours around the region. Hire a dinghy, snorkel the reef, and sit back with binoculars and drink in hand. For those keen anglers dying to hook a trevally, here’s the perfect chance. A weekend of carefree cavorting with sand squashing between your toes will allow you to feel as though weeks have passed you by. It’s rugged, remote, and red-hot. Take a boat trip to Sunday Island. 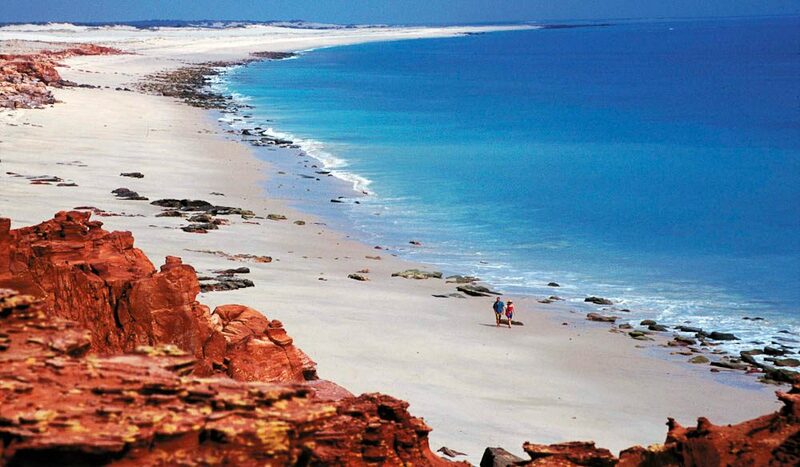 Cape Leveque’s lighthouse, elegantly standing atop huge sand dunes, promises fine coastal sights. For a bird’s eye view of the rugged Buccaneer Archipelago, scenic flights over mangroves, rainforests and secluded beaches can be arranged – it’s a lavish spoil. Want to catch a Mangrove Jack? Try your hand at deep-sea fishing; a good spot is Hunters Creek – get there for low tide. Inspect traditional Aboriginal arts and crafts in nearby Lombadina. 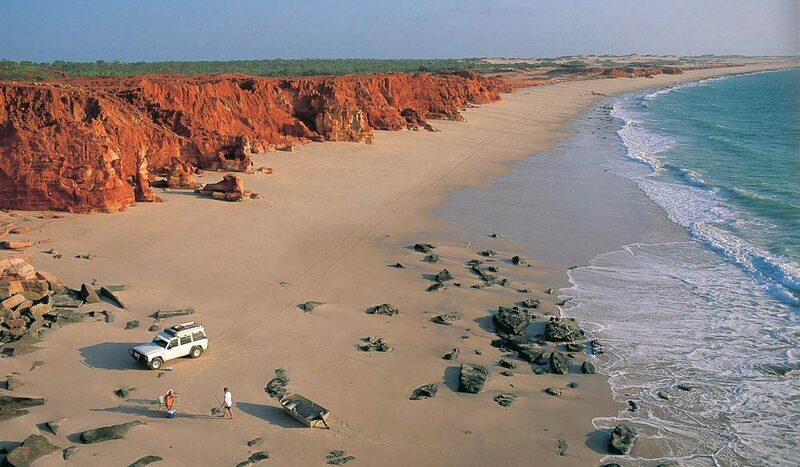 Where: 220km north of Broome, 3.5hrs drive in 4WD only. What to take: Binoculars. There are great birding and wildlife opportunities. Watching a whale up-close can’t be beat. Incredible photo! This reminds me a bit of shark bay!